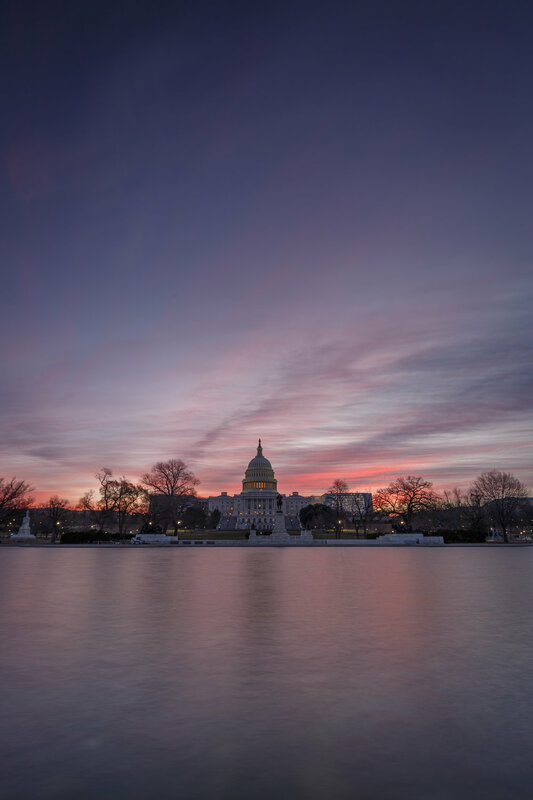 With a couple days off between the holidays, its prime time for some winter sunrises in DC. This morning was predicted to be a 85% chance of a good sunrise the night before, but I was a little dismayed to wake up and find crystal clear skies. Luckily, some high, wispy clouds rolled in just before the sun broke the horizon. A few of the ducks even decided to brave the government shutdown and spend some time floating in front of the camera. This morning is another one of those times that reminds me, getting out of bed, despite the forecast, is worth the cold, rain, or snow to see what show mother nature can provide.